Pumpkin Valley is a family owned farm in Dayton, ME and a proud OTELCO customer for over ten years. In 2002, the Harris family transformed their farm into a corn maze, and now every fall families come to get lost in their stalks.OTELCO took a trip to Dayton to check out the maze, and to talk to the family about how they use their OTELCO internet connection to run their business. 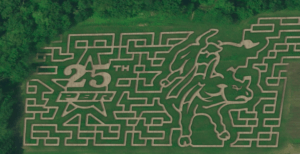 This year’s corn maze design is a nod to the 25th Anniversary of the Professional Bull Riders. Keith Harris, who owns and runs the farm with his family, describes Pumpkin Valley as “a place where people can unplug.” Families can come and spend time together, getting lost in the maze and not in their phones. The maze itself is five acres, and even hosts a corn bridge to help lost travelers find their way out with a bird’s eye view. Every year the Harris’s choose a fun theme for the maze. According to Keith, the Harris’ work with The Maize Co. each year to create the theme’s design, then they plow their cornfield into an intricate picture. Keith’s favorite design, so far, is the first one, a big moose. This year the theme of the maze is the 25thAnniversary of the Professional Bull Riders. You could never tell from inside, but there is a giant bull mowed right into the maze. The maze was just the beginning for Pumpkin Valley. Today the farm has over ten exciting activities for kids, and even grownups to enjoy. The newest addition to the farmyard is the Corn Pit. The corn pit is a large box filled with, literally, tons of corn kernels. Kids can take their shoes off and play in the corn, like a sandbox or ball pit but better! The farmyard is full of games and activities, like the jumping pumpkin, corn cannons and duck races. Getting lost in a corn maze works up quite the appetite, luckily Pumpkin Valley offers lots of delicious treats. 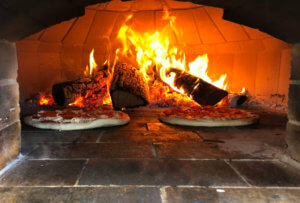 Another new addition to the farm is their wood fire pizza. The pizza is cooked in a brick oven created by a local stone mason. No electricity or gas involved, just wood and fire. For some, it may be hard to imagine why a pumpkin farm needs Internet, but just like any other business, the Internet is a vital part of the Harris’ operation. The farm uses their OTELCO Internet service for a lot of things, from running their website to sharing photos on their Instagram. With their OTELCO connection, Keith is able to collaborate with other corn maze owners via online forums and Facebook groups. It is a small community, and the Internet makes it easier for them to find each other. They are able to share ideas, ask questions and solve problems, something they wouldn’t be able to do otherwise. Most importantly, the Internet helps Pumpkin Valley Farm stay in contact with their customers. According to Keith, “having a presence online reduces phone calls for directions by 90%.” Freeing up him and his staff to focus on creating a fun-filled family farm. OTELCO was created over a hundred years ago by rural farmers, like Keith Harris, who needed to bring phone service to their farms. Today, the company is proud to continue their tradition of serving the rural farmers of Maine. GWI wants to offer superior broadband to all Maine citizens and businesses. Superior broadband is very fast, very reliable, very secure, and affordable which means it is fiber-based broadband. We want to get gigabit+ fiber networks which we can use built to the whole towns, municipalities and counties. To use the networks we need to either own those networks or have the networks be open access, dark fiber networks. For that reason, we will help any municipality plan, design, fund, built, and operate their network as long as it is open access, dark fiber, because we can then rent fiber from the municipality to serve our customers in that town. Our willingness to work with towns is not pure altruism nor mysterious: on the most basic level we want to make sure a network we can use gets built. To reach that goal we are willing to open up our network and sell to our competitors. If we and the municipalities are both open access, then cooperating with municipalities means we can build a larger, more effective open market which then means the municipalities and GWI will sell more dark fiber (to our competitors). On a less basic, more subtle level: what we are trying to do is create a world without monopolies and then do the best job at competing on a level playing field. To do a good job of competing we want to: a) get a keen understanding as to what the customers want, b) produce the most value from the network, and c) create a “brand of trust.” A “brand of trust” means our customers and potential customers believe we will treat them fairly. We think of it as being “the anti-cable company.” In a competitive market, if we earn a high level of trust then we will get our fair share of the market. We also recognize that the community is a customer of a network independent of the individual consumers and businesses that make up that community. For example, if a town has universal fiber service so that the town’s school system can count on every student having very fast, very reliable, and very secure network access, then the school can teach students in new and wonderful ways. Another example: if the local healthcare providers can count on universal service, then superior healthcare can be delivered at lower cost in homes and businesses. Serving community needs creates great value in addition to the value of serving individual consumers and businesses. We believe that by working closely with communities, we can build trust, understand the needs of the community, and get the information we need to make the best decisions on how to design the network. If we build the network ourselves and have the ability to work with the municipalities, we will do a better job. If the community builds the network and we are able to work with them, we have a higher degree of confidence that the community will build a network we can then rent to provide superior service. Taking into account the communities we serve into our day-to-day decision making process is incredibly important to us and we hope to announce in the next several months a business initiative we are enormously proud of to demonstrate this commitment. Enabling open access, working together on digital inclusion so that all residents can afford access, and collaborating on digital literacy programs so that residents and businesses can make the most of the network are ways we will contribute to the vitality of the communities. As we build infrastructure and networks, in order to make the network useful, we are very interested in the community’s opinions before and after the build; we don’t want to build a network no one uses. So over time we will ask for guidance from the citizens and communities. If a municipality has concrete plans to build a network we can use, we will not build in that town and will coordinate with that municipality to communicate the benefits of having open access networks. If a municipality or town is looking at us a partner to build a network, we will work with the citizens as we create an open access network for all. No matter what, we are part of a community and we are going to do this together. In the first post in this series we detailed how the end of net neutrality had come and gone and how we hadn’t seen much of anything change yet. That’s in large part because a host of lawsuits and legislative battles are now rolling at a low boil. So where are we at now, more than two months in? Well, to simply thing just a bit, let’s just say that the future of Net Neutrality now lies with the House of Representatives. A vote in the house would either re-instate the old rules or keep the repeal in place. But a vote doesn’t just happen. First, a petition in favor of making a vote happen must be signed by 218 members. As of right now, 176 have made their mark. So is it going to happen? Well, we all know how much politicians love to clearly and explicitly stick their necks out and choose a side. But wait! There’s hope. Recently, Republican Mike Coffman of Colorado pulled an about-face, joining the fight to restore Net Neutrality—so it is possible. 1. In this contentious time, elected officials hear a lot about what they’re doing wrong. This is a rare chance for us Mainers to give certain representatives a big high five. Angus King and Chellie Pingree voted along party lines to support Net Neutrality. Susan Collins took bold and decisive action to do what’s right. Give her office a call to say thanks and express your support for Net Neutrality. 2. Perhaps even more importantly, if you’re in Maine’s 2nd District, give Bruce Poliquin a call and let him know that you support a free and open Internet. Not in the 2nd? Give Susan Collins another call and tell her to tell him! a) Well jeez, I’m a GWI Internet customer and I’ll never have to deal with the repercussions of the Net Neutrality repeal because you guys have my back. • That’s true. We’ll never block certain sites or apps, or otherwise control your internet experience. We also won’t even throttle your data to inhibit your access to certain types of content. Same goes for paid prioritization: making a slow, boggy internet the standard for anyone who doesn’t pay for premium services is not our style. • Unfortunately, the repeal of Net Neutrality is all about allowing the big telecoms to get bigger and force the little independent guys like us out of the game all together. b) I’m not a GWI customer, and a week into this whole “no more Net Neutrality thing” everything’s fine. I’m still streaming what I want, when I want and going to any site I want. • Like giant tech companies, giant telecoms aren’t stupid. Remember when there used to be no ads on Facebook? How’s your feed looking today? Jammed with ads? Exactly. That didn’t happen overnight either. They’re just waiting until you let your guard down, then they’ll STRIKE. Even if the House of Reps can’t get its act together and do what’s right, we still have a chance. Governors in six states—Hawaii, New Jersey, New York, Montana, Rhode Island, Vermont—have signed executive orders to protect Net Neutrality on a more local level. Three states—Oregon, Vermont, Washington—have also enacted legislation that in effect does the same thing. Interested in what it’s going to take for Maine to do the same thing? Look for our next post in this series soon: Post 3: Hope for Net Neutrality at Home in Maine. It’s official. The Federal Communications Commission’s repeal of Net Neutrality has been in effect–for a little more than two weeks. Back in December, the FCC voted to repeal the rules that keep the internet fair and open. Since then, a long, murky process of votes, counter-votes and lawsuits has unfolded, leading us to… well—good question. The FCC ended Net Neutrality, but the Senate overturned the ruling? Then why are there still lawsuits and why did the ruling still go into effect? If you’re feeling confused, you’re in good company. This is where Democracy gets complicated. First off, once a ruling like this is set into motion, the ship is sailing. Lawsuits are great and all, but if they’re going to turn or stop the ship, it’s going to happen slowly. Like, s-l-o-w-l-y. And yes, the Senate did overturn the FCC decision—thanks in large part to Senator Susan Collins of Maine. Collins broke ranks with her Republican colleagues, along with Lisa Murkowski of Alaska and John Kennedy of Louisiana, in voting to restore Net Neutrality. In our next post in this series, you’ll be able to read more about what this kinda-sorta victory actually means for the future of Net Neutrality—nationally and right here at home in Maine. All the information shared was relevant and important to anyone with the desire to bring better broadband to their community. If you weren’t there to see the presentation, here’s a recap of the presentation because community broadband expansion is something we should all know more about. From these estimates, we conclude that a one-mile build with thirteen homes would bring the total cost of the project to $20,000 with an added cost of $600 for each home that connects to the service. If every home purchases Fiber to the Premise from this build, the total cost per home would be $2,140. A 100% take rate (the number of homes that actually subscribe to the service) is unlikely so let’s say that seven homes actually subscribe, bringing the total cost per home to $2,460. When you divide the cost per home by the net revenue per home ($33), you can see that it will take roughly nine years for the ISP to see break even. That is what the ROI on a broadband build looks like for an ISP. Too often, towns get looked over by ISPs because they are not seen as profitable. Those municipalities are left with slow, unreliable Internet, which hinders the whole community. That is why municipalities may take charge of their own broadband. Go it alone: Essentially, the municipality becomes the owner of the network and general contractor for the design and construction of the network. 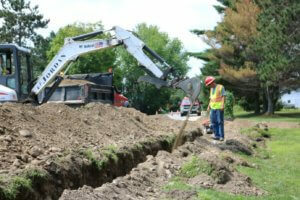 Enter a Private-Public Partnership: The municipality works with an ISP to build, and maintain their network. Going it alone can be a real challenge for most municipalities. In addition to the hard costs in your budget, you’ll need to add the cost of an engineering firm for design, and a company to actually build the infrastructure. Once it is built, you will have to pay the price of maintaining and the network, including upkeep, customer services, marketing and more. Unless your municipality already runs its own utility company, building, operating, and administering a broadband network is a tall order. Public-Private Partnerships are beneficial because ISPs already have the resources and expertise that go into building and running network. Municipalities can choose between a local provider or a non-local provider. A local-provider has the potential to save a municipality money because they may already own resources, such as utility poles or central office space, in your area. Non-local providers are still a fine option, they just won’t have the local resources, which can mean more spending for the community. Whichever you go with, a Public Private Partnership can help realize your community’s broadband vision.. The ConnectME Authority is a government agency whose mission is to “facilitate the universal availability of broadband to all Maine households and businesses and help them understand the valuable role it can play in enriching their lives and helping their communities thrive.” They do this by awarding grant money to towns and providers aiming to expand broadband in rural Maine. They are administered by the Maine Department of Economic and Community Development and funded through a .25% assessment on landlines. Redefined their definition of “underserved subscribers” to anyone with Internet below 25 Mbps/3 Mbps, and essentially widening the amount of communities’ eligible for rural broadband funding. ConnectME obviously does much more than just grant money to help with broadband builds. They also provide multiple resources for towns looking to take on these projects. There are many successful broadband stories across the country. During their presentation, Heather and Tracy touched on four communities that either have or are in the process of strengthening their connections. 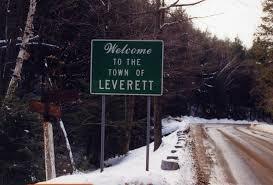 Leverette, MA: Leverett is a town in western Massachusetts with approximately 811 residents and business address over 43 miles of road. With a $40,000 planning grant from the Massachusetts Broadband Institute, Leverett went to work building a broadband network for their community. After the citizens overwhelmingly approved a 20 year general obligation bond for construction, the Leverett Municipal Light Plant (LMLP) was formed to own the network. In Massachusetts, many municipalities own and operate individual electric plants. Recently the state adjusted legislation to allow for the operation of broadband networks by MLPs. During construction, the LMLP worked to educate and build interest in the Fiber to the Premise project. By the time the project was complete in 2014, 65% of residents had pre-subscribed for service, today the take-rate is in excess of 86%. Leverett hired separately a Network Operator and an ISP. After a couple of years, the town decided to leave the original ISP and look for a new one. OTELCO was awarded the contract and has been serving the community since 2017. Cranberry Isles, ME: The Cranberry Isles are five Island towns nestled into the coast of Maine. When the Isles only ISP decided to leave the rural Islands were faced with two choices, have no Internet at all, or build their own Network. The result of that choice was the community banding together to stay connected. They voted to accept a $1.3 million bond, which is where things got interesting for the Isles. After they had voted on the bond, the USDA came in to let them know they had already been awarded $1.3 million in grant funds. It is safe to say that the grant made their whole project that much more affordable.The Isles partnered with Axiom Technologies and started building their broadband network. The thing about being a group of islands off of Maine is you are unique, and therefore you have a unique set of needs. To meet those unique set of needs Axiom and the Cranberry community had to come up with some creative build out solutions. In many places, to avoid issues with existing utility poles and possible pole fees, they put up special 20ft poles that are made of Kevlar. On one Island, that has no electricity and therefor no utility poles, they are running fiber along the ground. The Cranberry Isles is a great example of a community who wouldn’t let anything stand in their way. Islesboro, ME: Islesboro is almost 100% connected at this point, and now stands as one of Maine’s first successful rural broadband projects. Islesboro is another Island off of the Maine coast, and just like the Cranberry Isles, it faces a unique set of challenges. Recently, ferry prices to and from Islesboro went up, and now more than ever residences are looking to capitalize on the benefits of broadband to reduce their need to commute back and forth from the island. This strong broadband connection has opened a lot of doors for Islesboro residents. Whether it be telehealth, telecommuting, online classes, or simply making the island more attractive to the summer population, broadband is going to make life on Islesboro that much simpler. Broadband expansion is an important issue across the country. Whether you are a town manager in Alabama, or a farmer in Maine, broadband can make a difference in your life. 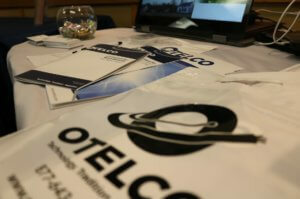 If you want to learn more about Municipal Broadband, download OTELCO’s Broadband 101 primer. The more people that become involved in this discussion the faster we can connect the whole country to reliable broadband. Broadband internet is as essential for community resiliency as are dependable roads, electricity and public safety. These services provide foundation for people to live, work and enjoy a basic quality of life. Rural places in Maine are finding creative solutions to a fundamental challenge: lack of density in population reduces the financial feasibility for the private sector to create necessary broadband infrastructure. This challenge is nowhere clearer than on Maine’s inhabited islands. Not just remote or rural, islands are, by definition, cut off from neighboring communities. This adds cost and complexity to any connections. 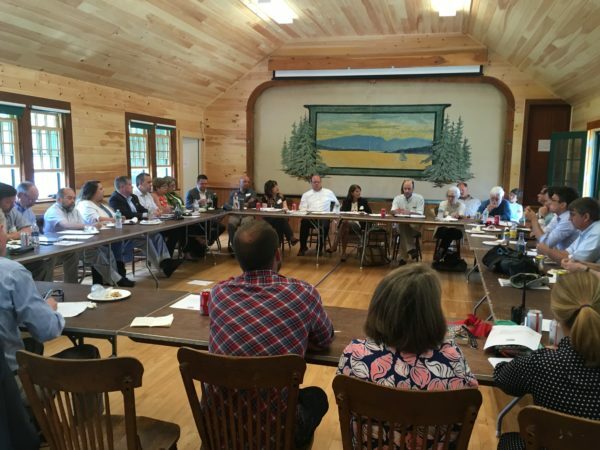 GrowSmart Maine was pleased to participate in the ribbon cutting for the municipally-owned broadband network and follow-up roundtable discussion hosted by the Island Institute in Islesford, Little Cranberry Island, on Tuesday July 10. These events highlighted the collaboration and local commitment and was coordinated with a visit to Maine by Anne Hazlett, Assistant to the Secretary of USDA for Rural Development. 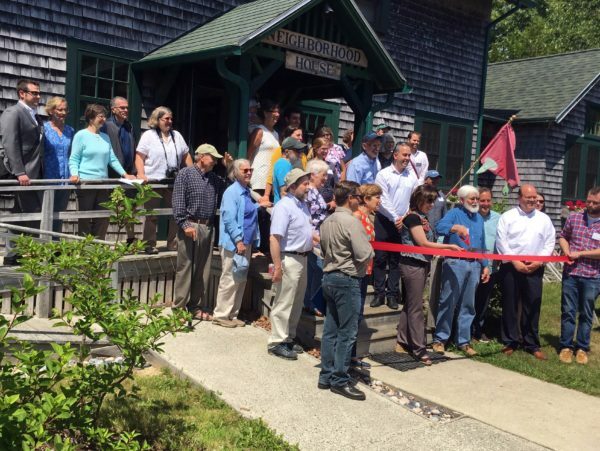 The Cranberry Isles broadband initiative was funded in large part by a Community Connect grant from USDA:RD as this agency recognizes e-connectivity as a critical strategy for economic development, innovation & technology, workforce development and quality of life. The Island Institute coordinates this initiative and supports island and coastal communities as they choose to take charge of their future through community-driven process. A local broadband committee worked extensively to articulate the value of access to highspeed internet within the communities and with funders and other supporters. These include access to work opportunities, improved telehealth and educational opportunities, as well as access to resources and markets for island-based businesses. And on Tuesday islanders were joined by other partners in celebrating successful deployment of fiber on all three of the Cranberry Isles. Following the ribbon-cutting there was a roundtable in which other regional approaches to addressing the broadband divide were presented. Franklin and Cumberland counties are deep in planning for regional solutions (yes, there are rural towns in Cumberland county!). Maine West updated the audience on their broadband planning process in which coordinated plans have been outlined for 25 towns. Action plans range from beginning steps to larger efforts and include both youth engagement and increasing uptake when broadband is available. Islesboro, another year-round Maine island community, has successfully deployed a town-funded municipal system offering universal service with a low-income subsidy resulting in a 90% uptake. With this variety of strategies, the best models allow the flexibility necessary for ease of transfer to other towns. Each has town and system design has unique assets and challenges, but any community focused on managing their future can incorporate high-speed reliable internet in their plans. GrowSmart Maine serves on the steering committee for the Maine Broadband Coalition with CEI and Maine’s Small Business Advocate and in that role will continue to advocate for and support community-driven efforts. As with most significant issues in rural areas, regional solutions will be the most effective. We will be highlighting several Maine-based “localism” efforts focused on the rural economy at our October 11th Summit in Bangor. There is still time to submit a proposal if you are part of such an effort and want to share outcomes and lessons learned with peers from across the state. By Dr. Roberto Gallardo, Robert Bell and Dr. Norman Jacknis. This article is republished from the Daily Yonder. Cities are the future and the countryside is doomed, as far as population growth, jobs, culture and lifestyle are concerned. Right? What is interesting about their list is its complete dismissal of a digital economy in the countryside. Yet as the digital age continues to unfold, conversations around the impacts it has and will have on the socioeconomic landscape intensify. On one hand, one camp argues that the digital age is as prone to clustering as the industrial age was. Digital will deepen and accelerate the competitive advantage that cities have always had in the economy. On the other hand, other pundits and researchers argue that the digital age will result in a “decentralization” and a more leveling playing field between urban and rural. Digital technologies are insensitive to location and distance and potentially offer workers a much greater range of opportunities than ever before. The real question is whether such decline is inevitable or if the digital economy has characteristics that are already starting to write a different story. We have recently completed research that suggests it is. While metro areas still capture the majority of new jobs and population gains, there is some anecdotal evidence pointing in a different direction. Consider a CBS article that notes how, due to high housing costs, horrible traffic, and terrible work-life balances, Bend Oregon is seeing an influx of teleworkers from Silicon Valley. The New York Times has reported on the sudden influx of escapees from the Valley that is transforming Reno, Nevada – for good or ill, it is not yet clear. Likewise, a Fortune article argued that “millennials are about to leave cities in droves” and the Telegraph mentioned “there is a great exodus going on from cities” in addition to Time magazine reporting that the millennial population of certain U.S. cities has peaked. Why millennials? Well, dubbed the first digital native generation, their migration patterns could indicate the beginning of a digital age-related decentralization. In search of insight, we looked at population change among the three generations that make up the entire country’s workforce: Millennials, Generation X, and Baby Boomers. First, we defined each generation. Table 1 shows the age ranges of each generation according to the Pew Research Center, both in 2010 and 2016, as well as the age categories used to measure each generation. While not an exact match, categories are consistent across years and geographies. In addition to looking at generations, we used the Office of Management core-based typology to control by county type (metro, small city, and rural) as well as their digital divide index (DDI) score. The DDI developed by the Purdue Center for Regional Development, ranges from zero to one hundred where a higher score indicates a higher digital divide and includes two components: broadband infrastructure/adoption and socioeconomic characteristics known to impact technology adoption. Looking at overall trends, it does look like the digital age is not having a decentralization effect. To the contrary. According to EMSI data, the U.S. added 19.4 million jobs between 2010 and 2016. Of these, 94.6 percent took place in metropolitan counties compared to only 1.6 percent in rural counties. As far as population, virtually the entire growth in population of 14.4 million between 2010 and 2016 took place in metropolitan counties according to the Census Bureau. Figure 1 shows the total population change overall and by generation and county type. As expected, baby boomers are shrinking across all county types while millennials and Generation x are growing only in metro counties. But there is a different story. When looking at only rural counties (what the OMB classification system calls “noncore”) divided into five equal groups or quintiles based on their digital divide (1 = lowest divide while 5 = highest divide), the figure at the very top of this article shows that rural counties experienced an increase in millennials where the digital divide was lowest. (The millennial population grew by 2.3 percent in rural counties where the digital divide was the lowest.) Important to note is that this same pattern occurs in metropolitan and small city counties as well. “Urban” and “rural” can be tricky terms when it comes to demographics. The Census Bureau reports that 80% of the population lives in urban areas. Seventy-five percent of those “urban” areas, however, are actually small towns with populations of under 20,000. They are often geographically large, with a population density that falls off rapidly once you leave the center of town. On the other hand, some rural counties are adjacent to metro areas and may benefit disproportionately from their location or even be considered metropolitan due to their commuting patterns. Because of this, we turned to another typology developed by the U.S. Department of Agriculture Economic Research Service that groups counties into nine types ranging from large metro areas to medium size counties adjacent to metro areas to small counties not adjacent to metro areas. Figure 3 (below) shows counties considered completely rural or with an urban population of less than 2,500, not adjacent to a metro area. Among these counties, about 420 in total, those with the lowest digital divide experienced a 13.5 percent increase in millennials between 2010 and 2016. In other words, in the nation’s “most rural” counties, the millennial population increased significantly when those counties had better broadband access. To conclude, if you just look at overall numbers, our population seems to be behaving just like they did in the industrial age – moving to cities where job and people are concentrated. Rural areas that lag in broadband connectivity and digital literacy will continue to suffer from these old trends. However, the digital age is young. Its full effects are still to be felt. Remember it took several decades for electricity or the automobile to revolutionize society. Besides, areas outside metro areas lag in broadband connectivity and digital literacy, limiting their potential to leverage the technology to affect their quality of life, potentially reversing migration trends. Whether or not decentralization will take place remains to be seen. What is clear though, is that although there are clearly other factors at play, any community attempting to retain or attract millennials need to address their digital divide, both in terms of broadband access and adoption/use. In other words, our data analysis suggest that if a rural area has widely available and adopted broadband, it can start to successfully attract or retain millennials. Dr. Roberto Gallardo is assistant director of the Purdue Center for Regional Development and a senior fellow at the Center for Rural Strategies, which publishes the Daily Yonder. Robert Bell is co-founder of the Intelligent Community Forum. Dr. Norman Jacknis is a senior fellow at the Intelligent Community Forum and full-time faculty at Columbia University.